Before I set out to co-write Julie Reiner’s cocktail book, The Craft Cocktail Party, I considered myself pretty knowledgeable about cocktails. I had read the requisite literature, written about the latest and greatest in the cocktail bar world, and, most important, had bellied up to plenty of bars to “taste-test.” In the name of journalism, of course. But at home, I was a cocktail luddite, turning to the convenience of a glass of wine or a cold beer instead of mixing a drink. Pretty early on in the process of working with Julie, I realized that the book we were writing was geared towards…well, me. My dedication as a cook—I can happily spend hours building a lasagna or cassoulet from scratch—never translated to my home bar, despite my love for a well-crafted cocktail. So working through Julie’s recipes and approach to bartending at home was a little like going back to school. The Craft Cocktail Party cover art. Infusions Are Money in the Bank: I’m all about doing things on the weekend that can be enjoyed during the week. Infusions are the drinking version of the Bolognese you make on Sunday to throw on pasta three days later, much to the envy of your friends. 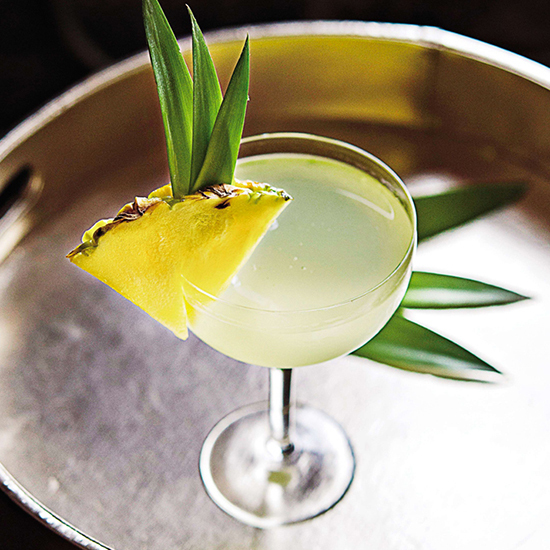 The Hanalei Sun, a drink we included in the book, might be the very best version of that: let pineapple chunks and rum hang out together for a few days. Strain. Then, when craving a sophisticated but fast-as-lightning cocktail, shake, strain and sip. There’s Never Enough Ice: Ice is the MVP of every cocktail bar, and should be treated with equal reverence at home. It’s crucial to dilution (and therefore flavor), to presentation, and of course, to temperature. So it’s crucial to have plenty of it on-hand. Ice is now the first thing I think about when planning to make drinks, particularly for larger groups. Follow this basic equation: For every person drinking, estimate 1½ to 2 pounds of ice. That may seem like a lot, but better to have too much than too little. Julie Reiner’s Sangrita recipe, with a shot of tequila. Even Tequila Shots Have Their Place: Cocktail snobs love to throw shade when it comes to shots. But when you’re making drinks for yourself in the comfort of your own home, you should drink whatever you like. Even Julie Reiner herself sees the value in drinking tequila straight. If you want to have your cake and eat it too, pair your bottle with her recipe for Sangrita, a tomato-based citrus concoction that can be enjoyed on the side. Kaitlyn Goalen is a writer, editor and cook based in Brooklyn and Raleigh, N.C. She is the editor and co-founder of Short Stack Editions, a series of single-subject, digest-size cookbooks, and has contributed to a variety of national publications.